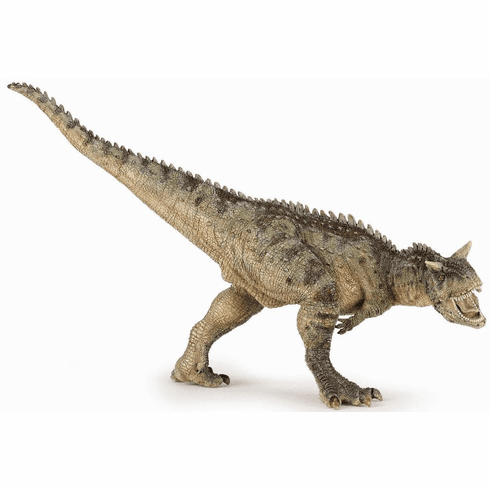 Stands approximately 4.5 inches tall (note the tail is the highest part of the Papo Carnotaurus - head is down in running position). Measures approximately 7.25 inches head to tail tip. Articulated jaw opens and closes.